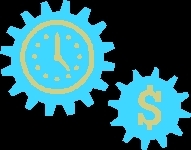 Some manufacturers forgo broken tool monitoring systems because of the upfront costs. They feel that they can get by without it, replacing or repairing broken machinery as necessary. The problem is that you can’t always see the beginning stages of damage. Instead, a problem may not become apparent until there is a major machine failure. When this happens, costs can quickly add up. At the initial point of failure, the most obvious cost is replacing or repairing the broken tools. What may have been a simple fix if caught early, now requires more extensive work as other parts and tools have likely been damaged as well. The cost of these tool replacements can be very high, but those aren’t the only cost-concerns. If one part of an automated manufacturing system breaks down, like a portion of conveyor, the rest of the system may continue operating until a worker notices the problem. This can cause products to pile up, potentially breaking and becoming unusable. These products must be scrapped, leading to a loss in machinery, material, and production. Even beyond material replacement costs, the loss of productivity rakes up additional expense. Waiting for new parts to come can mean days to weeks of down-time. Time is money. If products aren’t being manufactured, orders aren’t being met. Time-sensitive projects may be canceled and sent to another facility. And while current orders are on hold, new orders can’t be taken. By installing a tool monitoring system in your manufacturing plant, you can avert many of these problems. The system will identify the weakest link in your supply chain and alert you to the issue or stop production to prevent further damage. Addressing issues before they become problems is one of the best ways to ensure the success of your manufacturing operation. This entry was posted in Machine Tools, production monitoring, Techna-Check Monitoring and tagged Automation, Broken Tool Monitoring, Machinery, Machining, Manufacturing, Operating Machinery, Production, Production Line. Bookmark the permalink.